Little known detail about the Edinburgh International Festival and The Edinburgh Fringe Festival: they are two different festivals. It surprises me that people still clump the madness of Edinburgh at this time of year all into "The Edinburgh Festival". So what's the difference? The main difference is the programming policies. 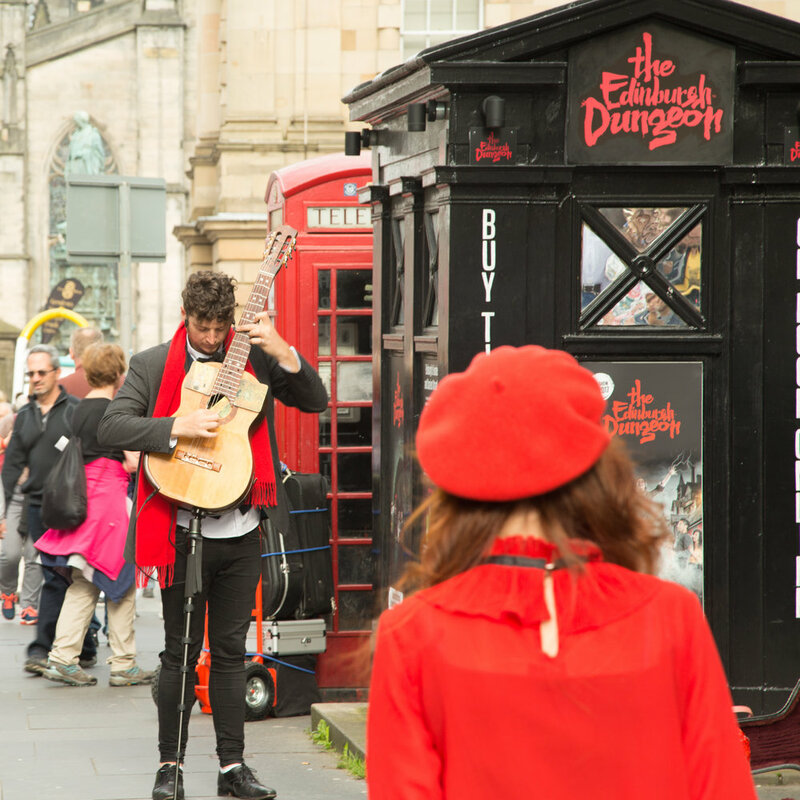 The Edinburgh International Festival principally promotes opera, music, dance and theatre and participation in the International Festival is by invitation only, issued by the Festival Director. The Festival Fringe has no selection process in its programming and is an open access festival for performers; anyone can present any type of work and pay a fee to the Fringe for services such as box office and inclusion in the brochure. I thought I would give a flavour of the people and street shows I saw on a recent walk around some of the Fringe this week. It's absolute carnage trying to move around the city at this time of the year and I think this is the busiest I have ever experienced Edinburgh.